The 3-tone alarming wrap features adjustable cables secure around merchandise of all shapes and sizes. The robust design offers a strong visual deterrent, while the low-profile footprint minimizes impact on brand promotion. 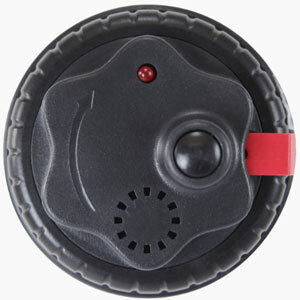 When secured, the 3-tone wrap tag emits an audible alarm if defeat is attempted and alarms AM pedestal systems if protected products pass through the detection zone. For additional security, the wrap itself will alarm when tagged merchandise is removed from the retail store. The tag alarm will stop once the battery is depleted or the tag is reset. Get the highest level of security for high-value, high-risk merchandise—anywhere in the store. 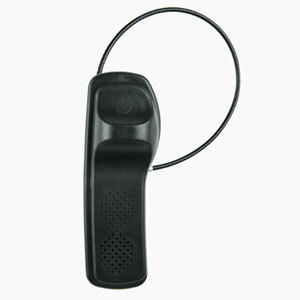 This alarming 3-tone SuperTag provides the trusted protection of Sensormatic SuperTags with additional audible alarms. The alarming feature reduces risk of theft when protected merchandise is out of staff’s view. 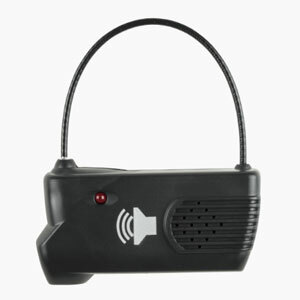 The tag will emit an audible alarm if defeat is attempted and will alarm the AM pedestal system if a protected products pass through the detection zone. For additional security, the tag itself will also alarm if removed from the store. The tag alarm will stop once the battery is depleted or the tag is reset. ​Get the highest level of security for hard-to-tag, high-value, high-risk merchandise—anywhere in the store. This alarming 3-tone lanyard SuperTag features an integrated lanyard cable with a stainless-steel pin for superior defeat resistance in an easy-to-use format. It is ideal for protecting items unable to be secured with a pin-style tag including shoes, handbags, luggage, sporting goods and more. The sleek shape does not detract from high-end items, yet provides a strong visual deterrent. The alarming feature reduces risk of theft when protected merchandise is out of staff’s view. 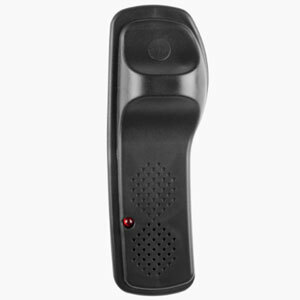 The tag will emit an audible alarm if defeat is attempted and will alarm the AM pedestal system if protected products pass through the detection zone. For additional security, the tag itself will also alarm if removed from the store. The tag alarm will stop once the battery is depleted or the tag is reset.